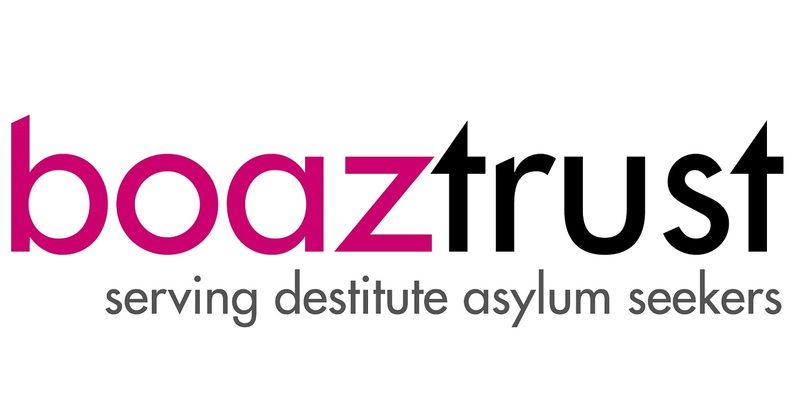 Next Sunday (13th November) after the service, there will be a couple of things going on to raise funds for the Boaz Trust, a Christian organisation accommodating destitute asylum seekers and refugees in Greater Manchester.. The children in church have decided to do a cake sale. This was the own children’s idea, born out of a session on ‘Serving’ the middle group did in Kids Church last month. So please come and buy cakes! And please bring containers with you, if you want to buy cakes to take home. As well as cakes, they’ll also be doing a pie throwing stand, where you can pay to chuck a cream pie at them. It’s a great idea, so please let’s support them and help them raise lots of money! If you have good quality items to get rid of from your homes, that you think someone else would like and will pay for, please bring them along on the day. There will be lots of items set out on tables just waiting to find a new home. If you see something you like, please take it and donate some money. It’s amazing how much stuff I’ve managed to find and bag up in the house since the last table-top sale that we did in May! This time there are going to be a good few young kids toys that look new enough to wrap up for Christmas presents, and we’ll also have some Christmas stockings and bottle bags. Please also be prepared to take things back with you if they don’t go – the last table-top sale was overwhelming with the amount of donations, but we had 6 car loads of things to take to the charity shop at the end of it!